While the rise of prescription opioid addiction in America has become a big talking point in the past few years, there’s another prescription drug addiction that’s gone largely uncommented upon: promethazine/codeine. 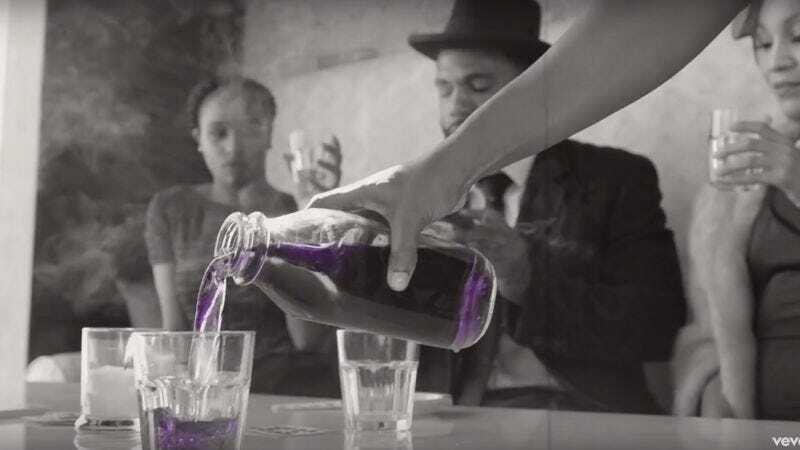 In fact, when codeine addiction is discussed, it’s usually either glamorized in hip-hop as “drank,” “purple stuff,” and “sizzurp,” or meme-ified by the wider culture (particularly once it became associated with Justin Bieber). So Timothy Bella of Bloomberg Businessweek decided to take an investigative approach to the rise of “drank” and how codeine manufacturers have now become inextricably linked to the hip-hop community. In the two decades since promethazine codeine was first reported as a substance abuse trend, pharmaceutical companies have rarely acknowledged, let alone taken steps to combat, the illegal market. By contrast the companies most closely associated with the broader opioid epidemic have occasionally been called to account for their practices and have defended themselves publicly. For example, the maker of OxyContin, Purdue Pharma LP, in 2007 pleaded guilty to charges of misleading regulators, doctors, and the public about the addiction risks of its product; Purdue has since said that it reformulated the drug to give it “abuse-deterrent properties” and that it’s funding programs to help prevent pharmacy robberies.